I was only going to spend about 5 days in Portugal and see only a couple of highlights before moving onto the next country, but I have no regrets about changing my plans and staying for 12 days to really see the entire country. I found that Portugal has one of the most enriching cultures because it offers a little bit of everything and caters to all interests. Its cities are all walkable and feature some of the most unique and beautiful ancient history and architecture in the world. The coast is lined with crystal blue water and endless cliffs. The nightlife is some of the best I've seen, and the food culture is spectacular. Originally, I was only going to spend about 5 days in Portugal and see only a couple of highlights before moving onto the next country, but I have no regrets about changing my plans and staying for 12 days to really see the entire country. Here is an overview and some tips about what I hit, what I missed, and everything in between for your next visit to Portugal. Lisbon is the capital of Portugal, the largest city in the nation, and it really stole my heart. I would allocate at least 3 days to see everything, it's definitely a large city but not daunting by any means. The city is very hilly (wear comfortable shoes) so you can really see a lot just by looking at your surroundings. Lisbon is best known for the ancient Castello de Jorge, situated at the very top of the city on the highest hill. Trust me, you can definitely take a tram all the way up, and the tram makes an entire loop around the city so you can hop on and off just with your train card. There is a student discount to go inside and explore the grounds and ruins and the view from the top is absolutely unbeatable. Other places to hit in Lisbon are the Alfama neighborhood with small stores, cafes, and restaurants (near the Castello), the Centro de Commercial is a large square by the water with a great view and beautiful buildings surrounding it, Rossio Square is the touristy shopping and restaurant district, and Bairro Alto has the best nightlife. 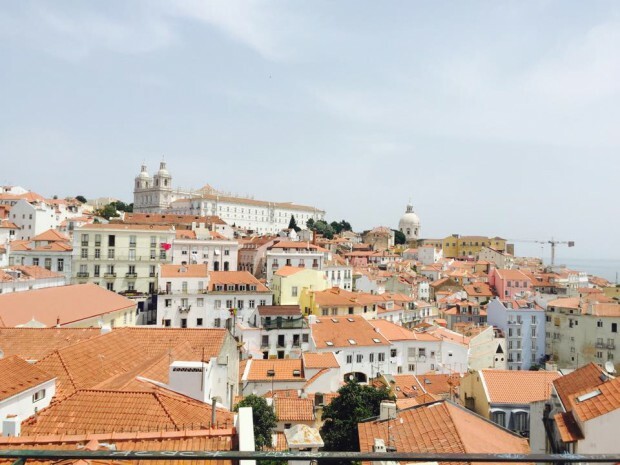 Bairro Alto is also at the very top of a hill in the city which makes it a journey to get up there, but you will definitely thank me later that you spent a night out here. I only spent an afternoon through the evening here, but if I could change things around I would have definitely spent a whole night and seen much more. Sintra is only a 45 minute train ride from Lisbon (hop on at the Rossio train station and the train comes every half hour). It is by far one of the most picturesque places that I've ever been to. It's also very hilly, and there are castles everywhere emerging from the lush green forests and it's truly a nature lover's dream house. The town has your typical restaurants and small stores, but the real draw is to go on a few nature walks around the bottom of the hills, and then take the bus all the way to the top to explore the Castelo dos Mouros. Once you're inside, you could really spend as much time as you want, from a couple hours to a whole day exploring all of the parks, trails, and different parts of the castle grounds. The view, again, is unbeatable, and it is definitely worth spending time in to learn about the history of the Moors and explore the area. 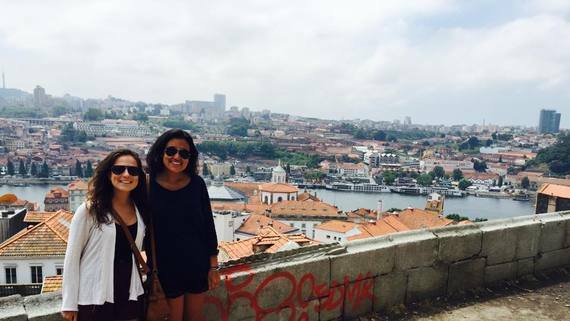 Porto is the second largest city in Portugal and a 3 hour train ride north of Lisbon. The two often argue over which city is better, and I'm still having a hard time deciding which one I liked better. I recommend spending about 2-3 days here as well just to make sure you cover everything and learn about the history. The river runs straight through the city, dividing it into two sides with the hills on both descending towards the river. I'm trying not to sound like a broken record at this point, but the views are seriously so stunning. There are cathedrals on nearly every street corner, museums, and don't miss out on where JK Rowling got a little inspiration for Harry Potter at the Livraria Lello bookstore. There are free walking tours in the morning and afternoon that meet in the main square close to Sao Bento train station which were extremely helpful to navigate the city. Porto is also most notorious for their port wine. There are dozens of wineries and factories across the river in Gaia to thumb around or take a tour inside of. We toured Taylor's and each of us had a flight of 3 different tastes - so great! I also recommend the nightlife on Tunel de Ceuta which hosts great bars and clubs. Only about an hour train ride north of Porto is Braga, and we ended up staying the night here on a whim. I only recommend a day at the most here because you can definitely cover everything within a few hours. There is very beautiful architecture, cathedrals, and a downtown shopping and restaurant district. Café Vianna is the oldest bar in Braga with an enormous patio overlooking the main square and fountain and also stays open all night long. Definitely a must see! Lagos is generally known for some of the most beautiful beaches in the world, as well as the insane nightlife. The town is backpacker central, and you're not going to get a very local Portuguese experience here because everyone speaks English. You can find restaurants of all cultures and small shops in the historical part of the town, and the hiking along the coast will keep you busy no matter what time of day it is. There are tons of inexpensive water sports excursions for the daytime such as kayaking, windsurfing, and jet-skiing, and the hostels organize pub crawls in the evening. I met multiple people in Lagos who were traveling all over Europe, but once they hit Lagos, they decided to stay - there's always something to do. Another activity I enjoyed in Lagos was a sunset tour of Sagres, about a half hour away. I got picked up in an adventure Jeep and we did some off-roading through the country, and then stopped at the Sagres lookout point at "The End of the World" for the sunset. Before discovering the Americas, Portuguese explorers thought that this point, the most southwestern tip of Europe, was the end of the world, and the sunset over the ocean was nothing like I've ever seen in my life - amazing! 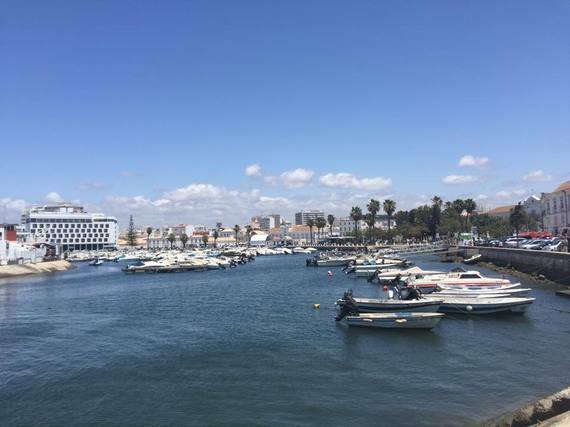 Faro is another beach town on in the Algarve about 2 hours by train from Lagos. 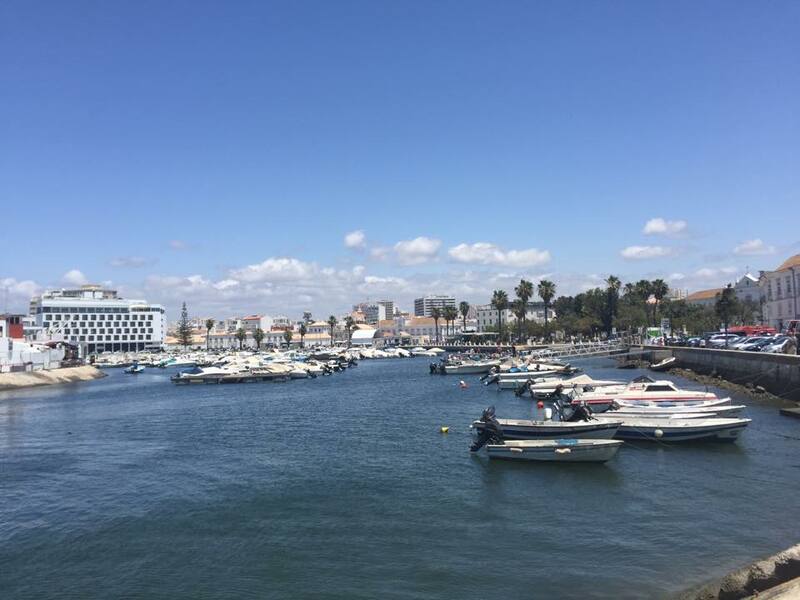 I don't recommend spending too much time here because there isn't a lot to do besides cafes, restaurants, and shops, but there is a beautiful marina and local Portuguese culture is much stronger here. Coimbra is another gorgeous city about halfway between Porto and Lisbon best known for one of the oldest universities in Europe. People that I met say that it's good to spend a night here because it's a larger town and you'll get a taste of student culture. Aveiro is another small town on the coast just south of Porto and is known for being the Venice of Portugal. I'm disappointed that I didn't get to see these places, but all the more reason to go back! To travel from one city to another, I used the CP train system. The time tables are all listed on their website if you just type in your destination. It was very convenient, comfortable, and each main stop would be very close to my hostel accommodations in every city making it easy to walk. The longer 3+ hour journeys would be around 40-50 Euro, and the shorter ones would be less than 10. They also offer a student discount so take advantage of this!